Conveniently situated in the heart of a highly desirable area of Euxton, this beautifully presented and well-maintained three-bedroom, semi-detached dormer bungalow is being welcomed to the property market. 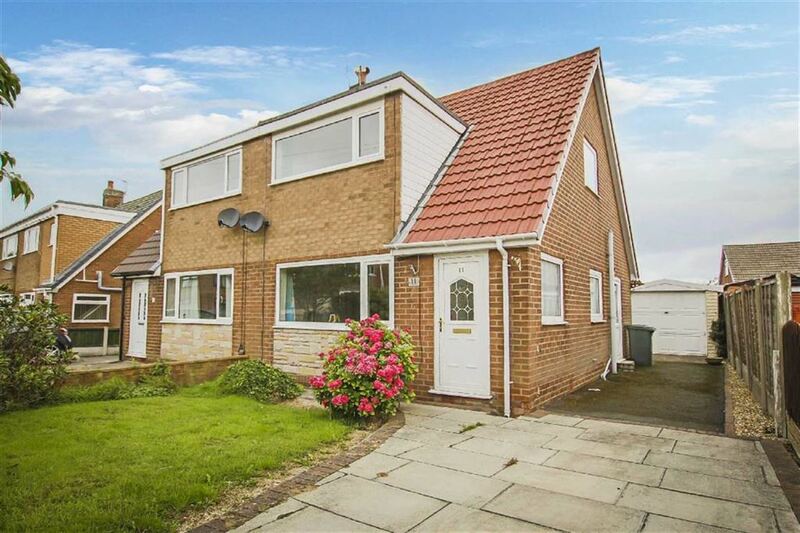 Ideally suited for a growing family looking for their dream family home, the property offers surprisingly spacious and well-lit living accommodation throughout with an enclosed rear garden including a detached single garage. The property comprises briefly, to the ground floor; entrance to a welcoming hallway with stairs leading to the first floor and doors providing access to a deceptively spacious reception room, under stairs storage and a three-piece bathroom. To the first floor is a landing with doors leading to three generously sized bedrooms. Externally the property boasts an enclosed laid to lawn garden with wood bark and gravel chipped bedding areas with a detached single garage. To the front of the property is a laid to lawn garden with bedding areas and paved off-road parking for numerous vehicles leading to the garage. For further information, or to arrange a viewing, please contact our Chorley team at your earliest convenience. UPVC double glazed frosted door leading into the hallway. UPVC double glazed window, central heating radiator, stairs to the first floor, wood effect flooring and doors leading to under-stairs storage, reception room one and to the bathroom. UPVC double glazed frosted window, central heated towel rail, three piece suite comprises: pedestal wash basin with mixer tap, a corner panelled bath with mixer tap and electric shower feed, twin flush WC, fully-tiled elevations and wood effect flooring. 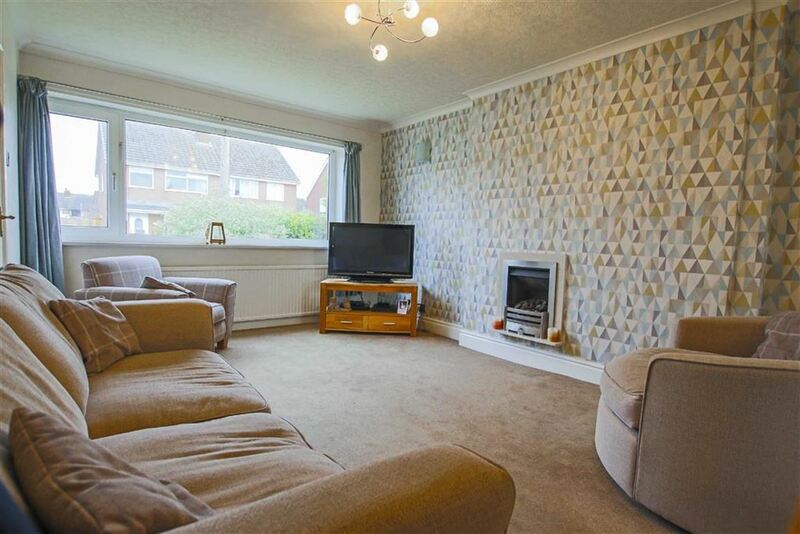 UPVC double glazed window, central heating radiator, two feature wall lights, television point, coving to the ceiling, wall inset living flame gas fire and an arch leading to the dining room. 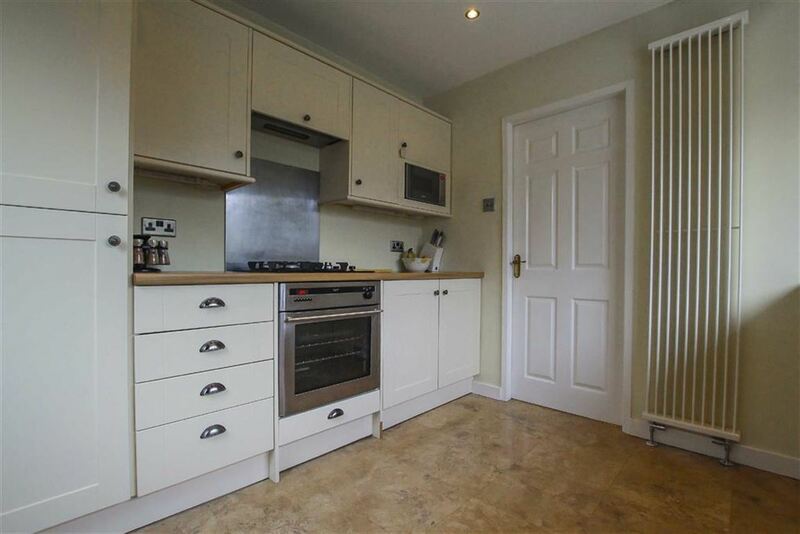 Central heating radiator, coving to the ceiling, UPVC double glazed French doors leading to the rear and a door leading to the kitchen. UPVC double glazed window, central heating radiator, a range of wood panelled wall and base units, granite effect work surfaces, tiled splash-backs, stainless steel one and half sink, drainer and mixer tap, oven with a four ring gas hob, extractor hood, tiled splash-backs, integrated dishwasher, space for a fridge freezer, integrated washing machine, spotlights, tile effect flooring and a UPVC double glazed frosted door leading to the side of the property. UPVC double glazed window, loft access and doors leading to three bedrooms. UPVC double glazed window, central heating radiator and door to storage cupboard. UPVC double glazed window, central heating radiator and a door leading to a storage cupboard. Laid to lawn garden with bedding areas and a paved driveway providing off-road parking for numerous vehicles leading to the garage. Enclosed laid to lawn garden with wood chippings, gravel chippings, bedding areas and a detached single garage.